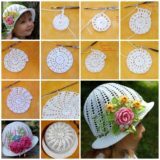 When it comes to crafting with our kids, and sometimes even by ourselves, there’s just something so interesting and exciting about working with materials that you normally wouldn’t necessarily craft with. 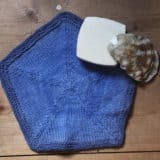 Our favourite projects are always the ones that are made with seemingly random objects, even if they’re the simplest things and our kids feel the same. So what’s current unconventional crafting tool obsession, you ask? 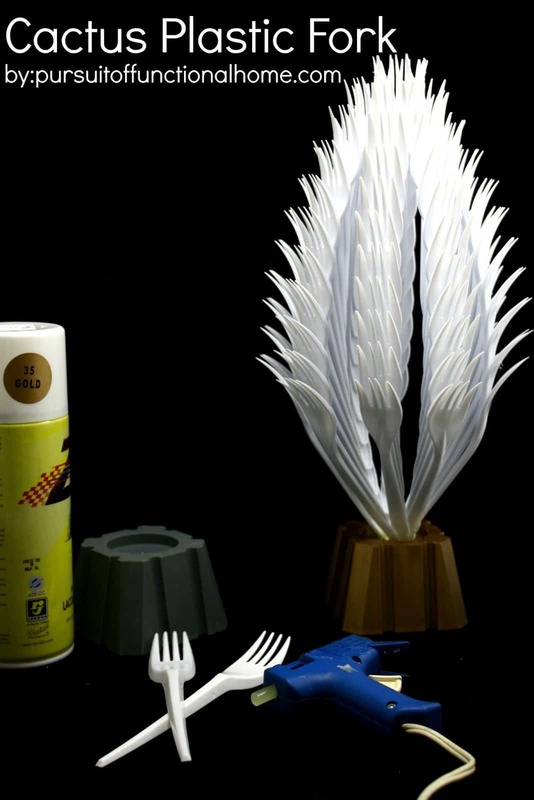 Believe it or not, we can’t stop crafting with plastic forks! 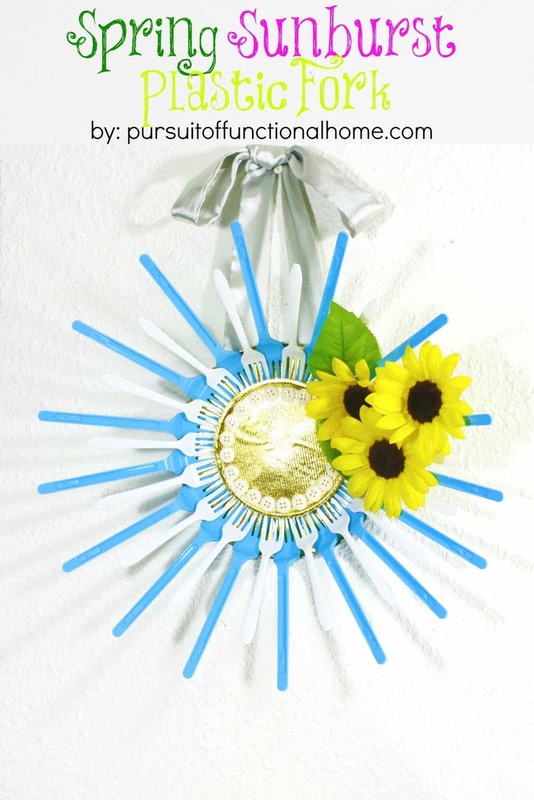 Check out these 15 awesome crafts of all different kinds, ranging from useful to decorative, that are all made with plastic forks! 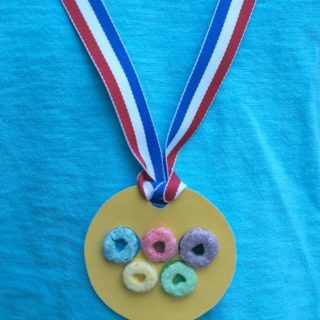 Sometimes we like to make useful things, but other times we really just enjoy crafting for the sake of crafting. 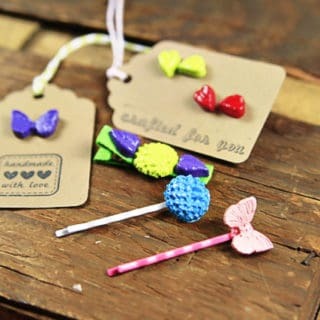 There’s just something so fun about making something ordinary look like something completely different! 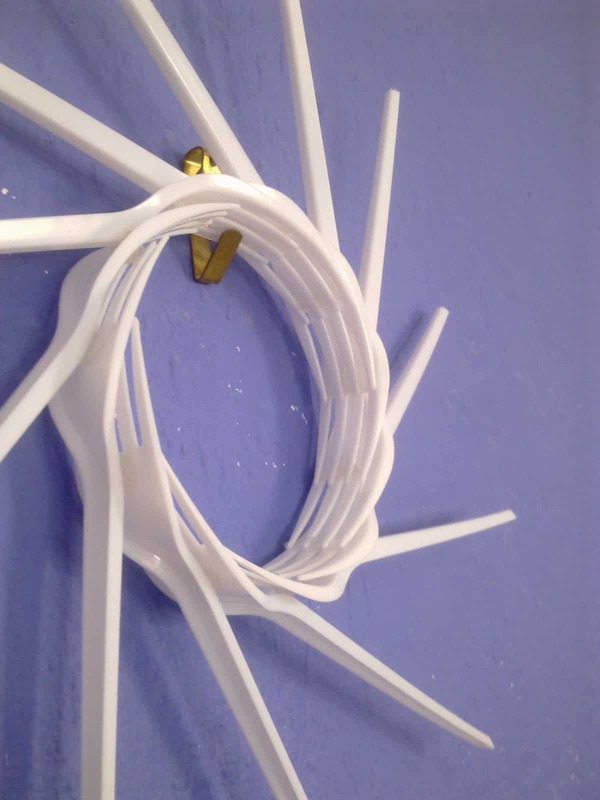 That’s why we liked this funny little decorative cactus made out of plastic forks so much. 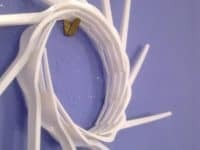 All you really need are some plastic forks and a hot glue gun! Find out how the shape is made on Pursuit of Functional Home. 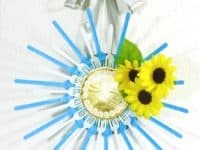 Do your kids really love crafting with unconventional materials too and you know they’d love crafting with plastic forks, so now you just need a few ideas? 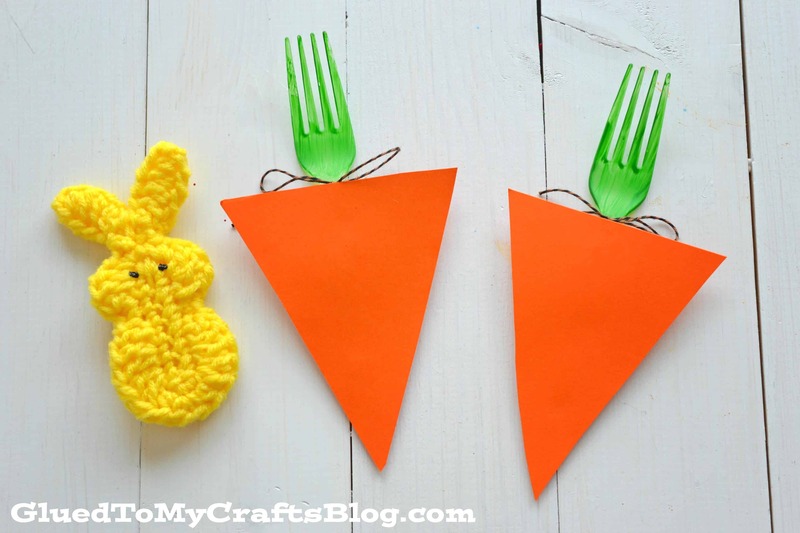 Well, we know this one’s an Easter craft, but if your little ones are anything like ours, they don’t really obey seasonal rules anyways because they just want to make anything and everything, all the time! 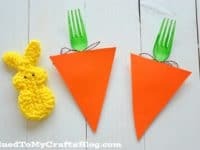 Check out how Glued To My Crafts used green plastic forks to look like the stems of their paper carrots (but you could also just paint white forks green too). 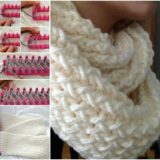 When you decided you wanted to craft with something a little bit unconventional, were you intent on making something really unique as well while you’re at it? Well, we’re not sure how many tutorials for lovely lace hand fans made of plastic forks you’ve ever seen before, but we were enamoured with how sweet this one looks the moment we saw it! 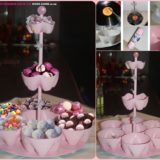 Check out the details of how the forks are layered and embellished on Easy Fresh Ideas. 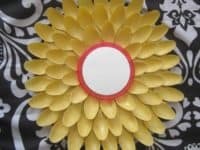 Okay, we know that we’re supposed to be writing about plastic forks, but how cool is this sunshine inspired plastic spoon mirror? This effect could easily be mimicked with forks instead and it would look just as awesome! 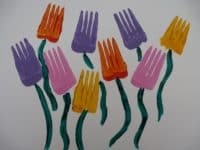 You could use brightly coloured plastic forks the way How to Recycle did with the spoons here or, if all you have access to are regular white forks, you could paint them. We’ve always loved wall and door wreaths. 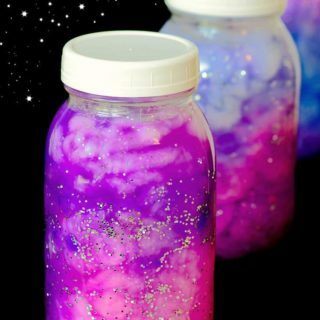 They’re simple décor and they’re always a total blast to make. 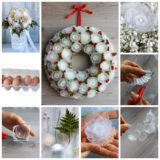 Beyond that, there are nearly infinite different kinds of DIY wreaths you can create if you’re willing to think about them creatively and used materials that you might not have crafted with before, so of course plastic forks are an option! We love the way Tangrila attached these ones at their prongs so the handles splay outward like a starburst. 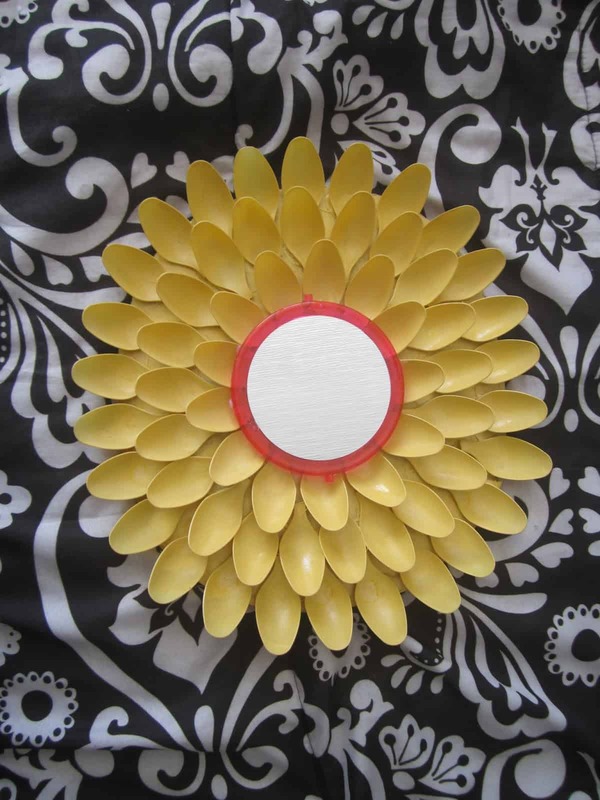 Speaking of crafts that look like “bursts”, check out this awesome plastic fork sunburst craft from Pursuit of a Functional Home! 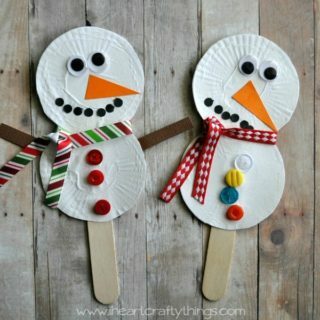 This is a great project to work on with your kids on a rainy day because it’s pretty artistic so they can get as creative as they want with their own style and embellishments, and it’s also cheerful enough to brighten everyone’s spirits when the weather is gloomy outside. 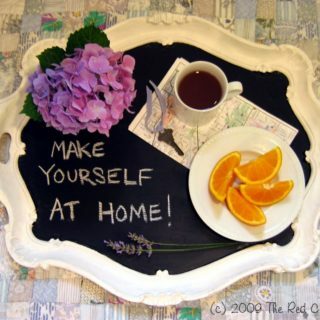 If you can’t enjoy the sunshine, you might as well make some of your own! 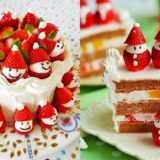 Are you still thinking about how cool most of these “burst” style crafts look, but you’ve actually been trying to track down winter themed crafts because you’re already stockpiling ideas for when the weather gets cold and your kids are stuck inside a lot? 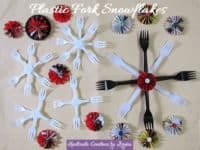 In that case, check out these awesome little abstract snowflakes made from plastic forks and folded paper pinwheels! 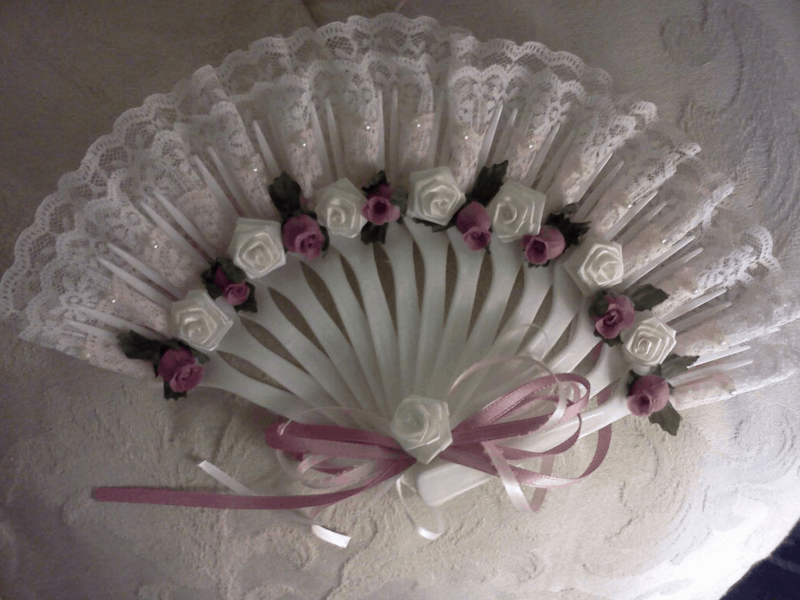 We love the way Creations by Regina put buttons in the centre to add a bit of flare to each snowflake. Are you still thinking about how cool the idea of making a sort of abstract sculpture like we showed you at the top of our list was, but you’re just not sure that a cactus is quite the right look for you? Perhaps you’d rather make something that pays a bit of homage to your love for architecture instead! 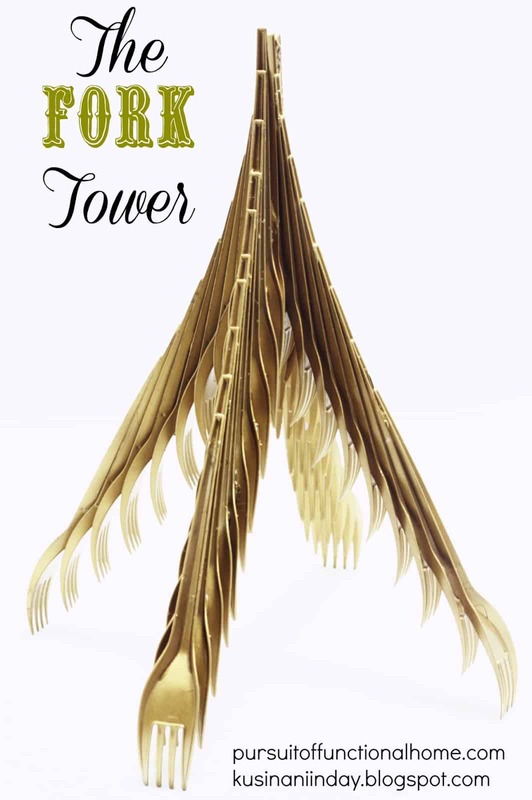 In that case, check out this totally awesome tower from Pursuit of a Functional Home that’s made entirely of strategically positioned plastic forks! 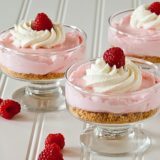 Perhaps you’re actually just throwing a party and you want to use disposable cutlery because your kitchen is small and you want to reduce how many dishes you’ll do later, but you’d rather have them look a little fancier than usual, just to keep things decorative and fun for your guests? 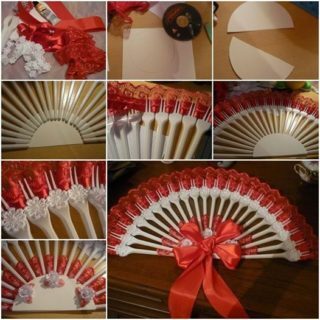 In that case, we have a feeling you’re going to love this super simple and cost effective idea from Copy Cat Crafts. 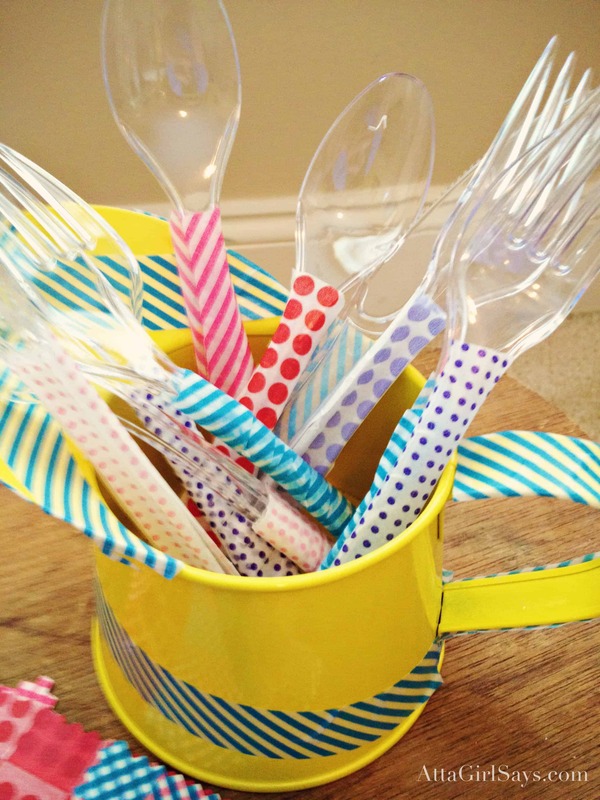 They used colourful patterned washi tape to wrap the handles of their cutlery so that each fork guests grab looks fun in a different way! The idea of using fire in a craft that you do with your kids certainly isn’t a great one, but that doesn’t mean you can’t get (carefully) creative with it when it comes too making things for yourself! Fave Crafts suggests exploring the temperature properties of plastic cutlery by melting pieces of plastic forks and spoons just slightly to make them pucker and fold so that they start to look like flower petals, and we think the final effect is beautiful! 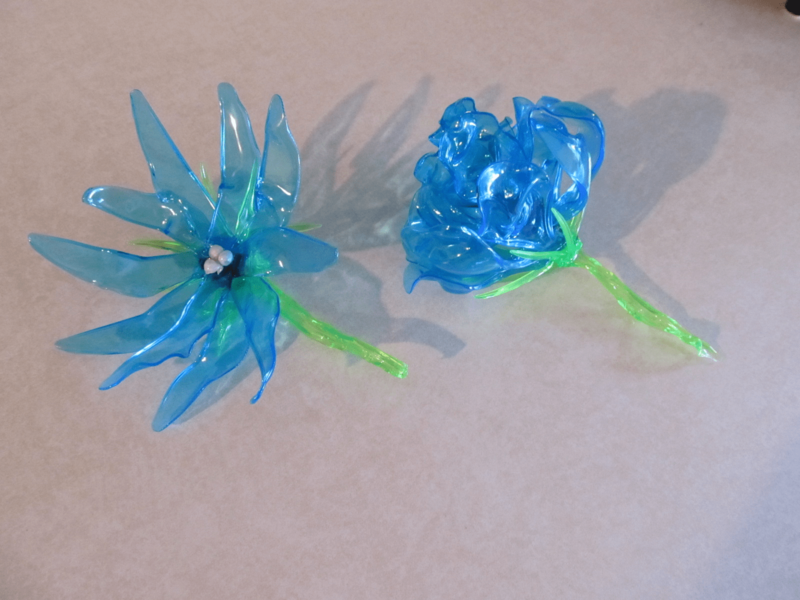 This project is best done with forks that are made of coloured plastic unless you’d like to have white flowers, since paint would simply melt off. 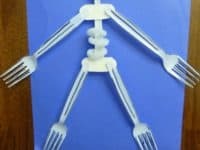 Maybe your kids are very little and they’re not quite old enough to be manipulating plastic in order to make things out of plastic forks, but you’re still intent on helping them find new ways to use them in crafting? 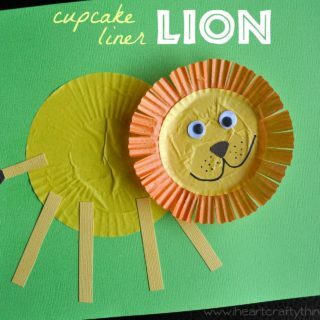 Then check out this flower printing paint idea from Net Mums instead! 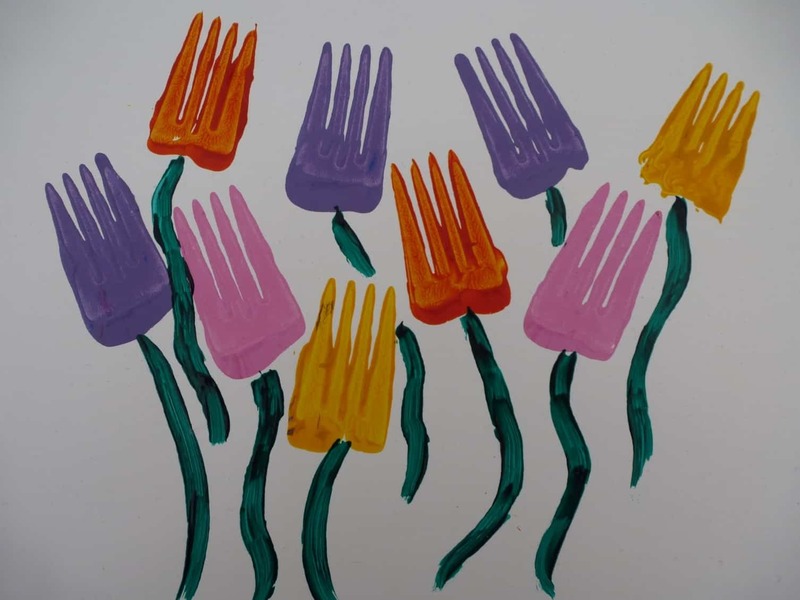 They’ve used the head and prongs of a fork dipped in paint to make brightly coloured imprints on paper and then drawn stems to transform those prints into tulips. Whether the disposable forks that you have access to are made of plastic, wood, or another compostable material, here’s an awesome craft that will show you just how much fun the mere shape of a fork can be! 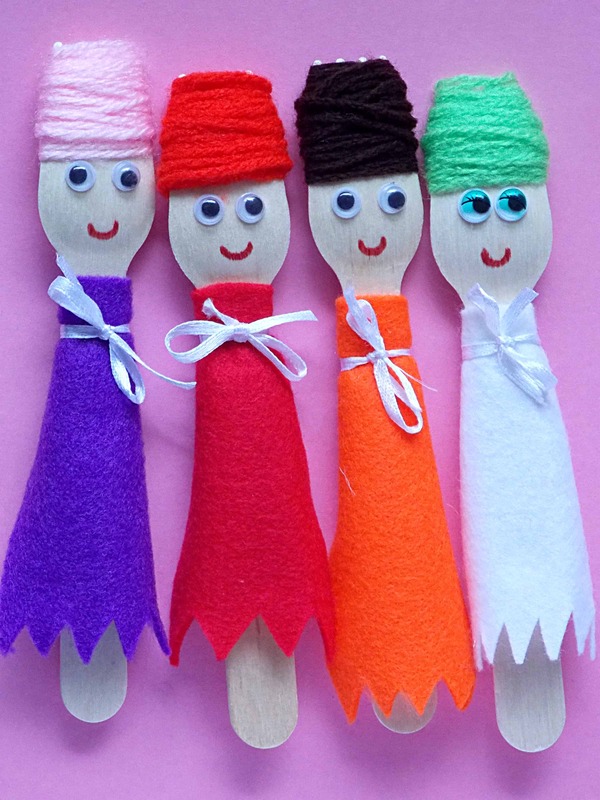 We love the way Funny Crafts used felt and yarn to transform their forks into little puppets with all different colourful senses of style. 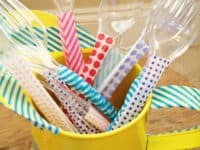 Are you very into the idea of using paint and plastic forks together, but you know your kids will probably get carried away and want to paint with the forks, rather than just making a neat stamped imprint of their shape? 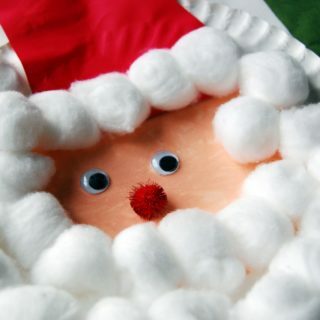 Well, according to I Heart Crafty Things, that makes for an awesome craft as well! 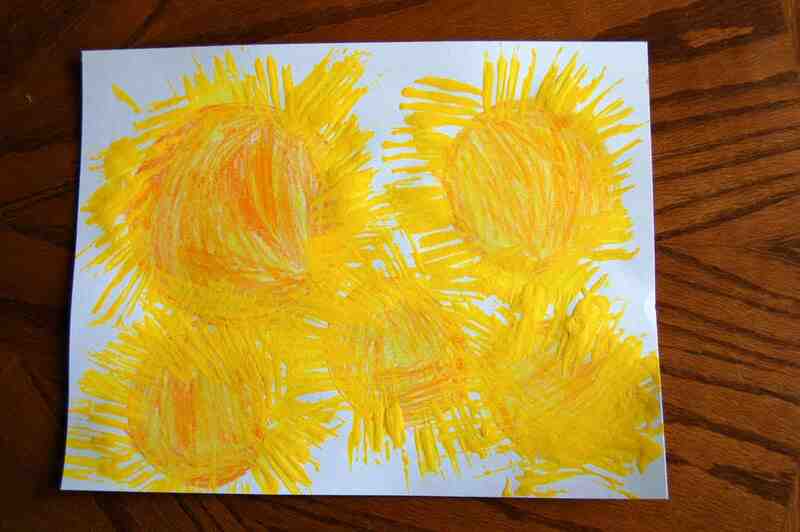 We love the way this painting looks like abstract suns and we’d be willing to bet that the kid who made it had a total blast. 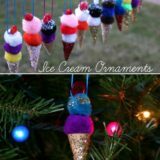 Have you always loved making ornaments and jewelry pieces from unconventional materials but you never really thought that cutlery was one of the things you could make pretty, delicate looking things with? Well, Sayaka Ganz is here to show you otherwise! 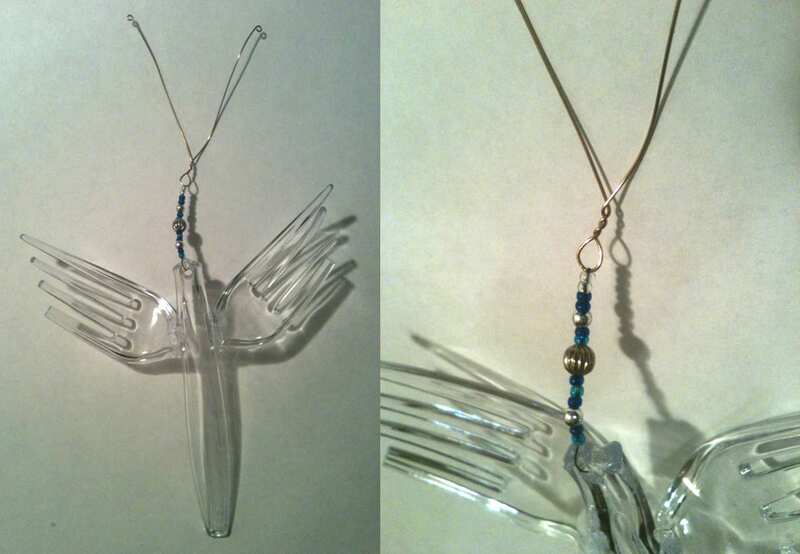 They made an adorable beaded angel pendant using the heads of the forks as wings. 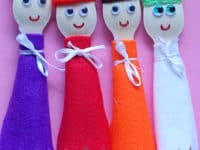 Are your kids so excited for Halloween that they’ve started talking about making seasonal crafts even though summer isn’t even technically over yet? 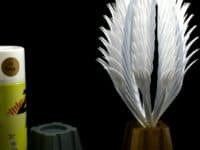 Ours do that too, so we always have an arsenal of ideas on hand that have to do with just about any theme, just in case they wake up one morning and decide they want to skip a few months an make something spooky. 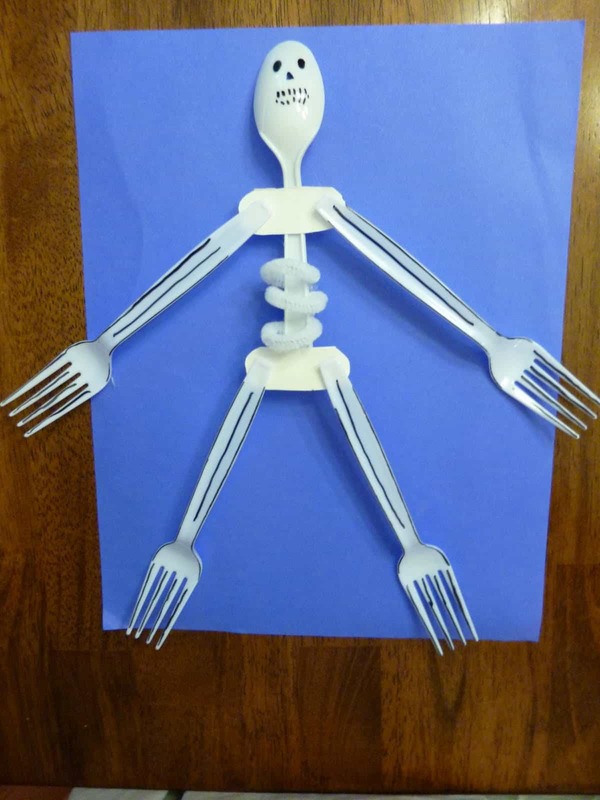 Since you already have plastic forks on hand, check out this adorable skeleton idea from The Ramblings of A Crazy Woman!